Tesla probably made history with the announcement of the Model 3. They created the affordable electric car for the masses. Founder Elon Musk stated: no one “would be able to buy a better car for $35,000”. He might be right: there were already 325,000 pre-orders for their affordable electric car since the announcement. But what does this mean for them and for the industry? 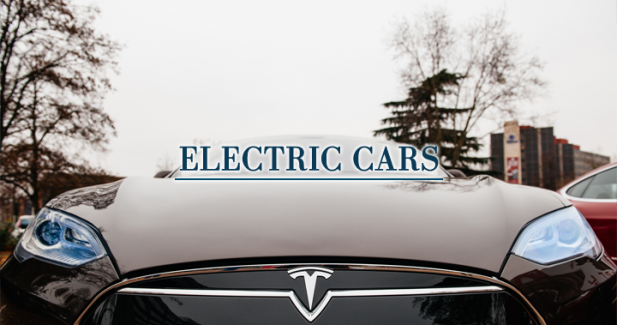 For Tesla, it may mean mainstream success. With the sports car Roadster, the sedan Model S and the SUV Model X they had success with the car lovers, the wealthy and the eco-conscious. They also proved that electric cars can be a real thing for a price. But in the last four years they only sold approximately 100.7 thousand cars. This was all right for them, because that is how “Musk and Co.” built up the brand. They started with expensive, small quantity “supercars”, and after having a proper market there, they were ready for the affordable car. They also needed money for creating the everyday car, which they earned through the more expensive models. The affordable car might be a surprise for some, but as Musk said this was their secret plan all the way, and it was planned for 10 long years. Now that the car is here, they already made more then $14 billion through pre-orders. They only asked for a $1.000 deposit for pre-orders, so the actual number may change, but the stocks of Tesla started skyrocketing nonetheless, from $130 to $240. Tesla, again, proved that a company focusing on electric cars can be an important part of the car industry, and can create something for the masses. This is important, since the automotive industry has serious problems lately. It’s enough to think about Volkswagen’s diesel scandal. The company got caught cheating on emission tests, leading to a 26 billion Euro loss in the company’s value in two weeks. After the scandal, everyone expected big car factories to invest even more in alternative cars, since diesel and gas can lead to dead-ends on the long run. Several major factories already have electric or hybrid cars, but Tesla still seems to be leading. But market can be harsh to anyone. Even with Tesla’s new car announcement, they disappointed investors with the sales of Model X, therefore their shares are moving up and down lately. As we’ve seen, huge corporations like Volkswagen (which owns brands like Audi, Skoda, Seat too) can go down pretty fast. Therefore, no matter how good things look for one company, when we are talking about investments, we should never put our money in one basket. Diversification is still the most important thing in investing, even if a company seems to revolutionize car industry. That is also the reason while a properly set up portfolio is still the best to have concerning risks and rewards when investing. Disclaimer: This analysis is for general information and is not a recommendation to sell or buy any instruments. Since every investment holds some risk, our main business policy is based on diversification to minimize threats and maximize profits. Innovative Securities also offers Profit Max which has a highly diversified, professionally assembled portfolio.